Jungle Safari in West Bengal. Mayurjharna Elephant Reserve is the only elephant reserve in Eastern India. The reserve is situated on the border Paschim Medinipur and Bankura in West Bengal, India. The area of this elephant reserve is 414.06 square km. and the nearby 1436 square kilometres of land is known as the ‘Zone of Influence’. The elephant population in this elephant reserve is 118. This area is declared as Elephant Reserve on 24th October, 2002. This area is very close to Dalma Elephant Sanctuary under Jharkhand State. Senchal Wildlife Sanctuary is in the Darjeeling in West Bengal. It is one of the oldest wildlife sanctuaries of India. It was set up as a sanctuary in 1915. This sanctuary covers an area of 38.6 square km. Altitude of Senchal Wildlife Sanctuary varies from 4900 ft to 8,500 ft. Two lakes situated inside the sanctuary supply drinking water Darjeeling district. This is a popular picnic spot too. Mahananda Wildlife Sanctuary is located in between the Teesta and Mahananda rivers. 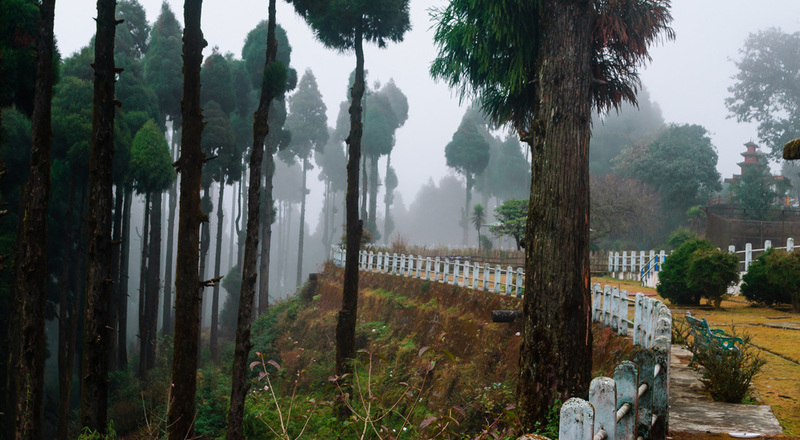 This Sanctuary is situated in Darjeeling district of West Bengal. Mahananda Wildlife Sanctuary can reached from NJP in 30 minutes. Sukna, the gateway to the sanctuary, is only 14 km from Siliguri , 8kms from Siliguri and 28 km from Bagdogra airport. This sanctuary covers over 159 squer kms. In 1959, it got the status of a sanctuary to protect the bison and Royal Bengal Tiger. It is considered as the most important sanctuary of North Bengal. Jore Pokhri Wildlife Sanctuary is situated on the way to Sandakphu in Darjeeling District in West Bengal. It is the habitat of some high-altitude animals like Himalayan Salamander (Tylototriton verrucosus), locally known as ‘Gora’. It also houses many other local animals such as the rhino, tiger, and many different birds. Best time to visit Jore Pokhri Wildlife Sanctuary is June to August. Haliday Island Wildlife Sanctuary is also known as Haliday Wildlife Sanctuary. 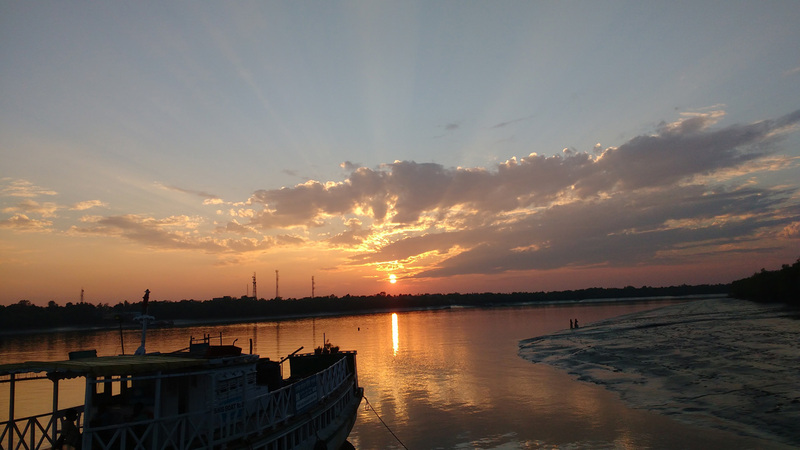 This is one of the three Wildlife Sanctuaries of the Sundarbans Biosphere Reserve, the other two being the Sajnekhali Wild Life Sanctuary and the Lothian Wildlife Sanctuary. It is located in south 24th parganas in West Bengal. The area is approximately six square kilometers. Situated on the river Matla, many different types of flora and fauna exist within the wildlife sanctuary. Examples include spotted deer and wild boar. Royal Bengal tigers have occasionally visited the area as well. Bibhutibhusan Wildlife Sanctuary also known as Parmadan Forest is located in North 24 Parganas in West Bengal. It is located on beside Ichamati river and covering an area is 0.68 square km. This is also famous for its children’s park and small zoo. A tourist lodge belongs to forest department of West Bengal is famous for weekends. Ayodhya Hills in the district of Purulia, West Bengal is an amazing tourist destination known for its natural beauty. 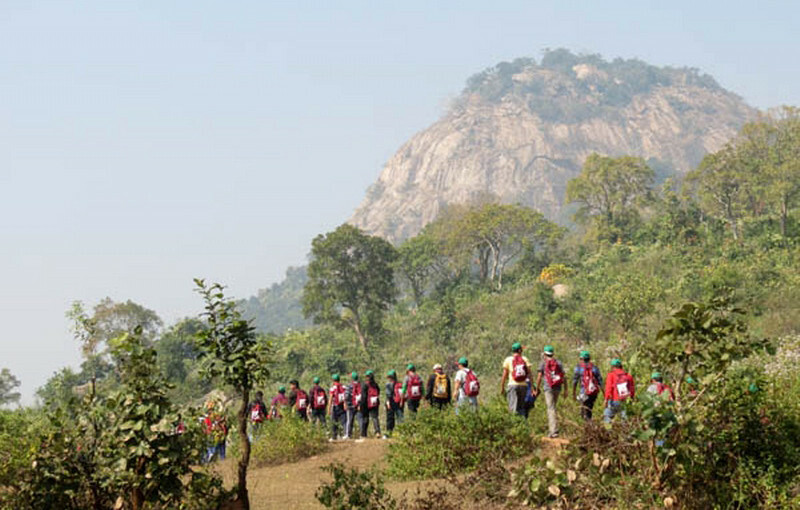 Ayodhya hills are an extension of the Dalma range in Jharkhand. Each year hundreds of tourists visit the hills to witness the scenic beauty of the forests in and around Ayodhya hills. The hills are covered with dense forests with a variety of flora and fauna. The dense forests are a home to different species of wild animals. Gorshabru is the highest peak in Ayodhya and stands tall at an altitude of 610 meters. The presence of numerous waterfalls amidst the forests makes them even more beautiful. The Sundarbans is a mangrove forest extending from Bangladesh into the hinterlands of West Bengal, India. It has been named as a World Heritage Site by UNESCO. The forest is thick and the area, covered with marshy swamps and salt water. It is home to the Royal Bengal Tiger, of which only 400 are left here. Crocodiles, spotted deers, snakes, primates and many different species of birds can be seen here. Tourists need to have a permit to visit the Sunderbans especially the Tiger Reserve. Murti is a lovely getaway located on the banks of the meandering river of the same name. It is the perfect weekend destination for people looking to escape the din and bustle of city life. Murti the river originates from the Neora Valley National Park and flows through the main tourist attractions of Dooars before meeting the River Jaldhaka. It is along its bank stretching for 80 kilometers that the famous forests of Dooars have developed and are sustained. All the popular watchtowers of the forests are built overlooking Murti River. Murti, the place was initially a picnic spot but now with the resort it has become of the most popular getaways in North Bengal.